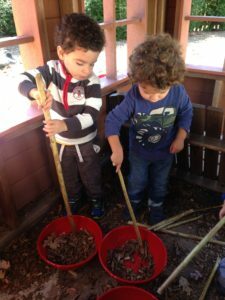 Getting outdoors every day is a MUST for us. 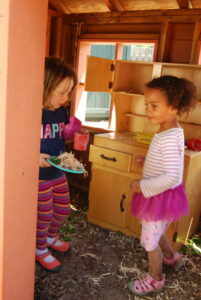 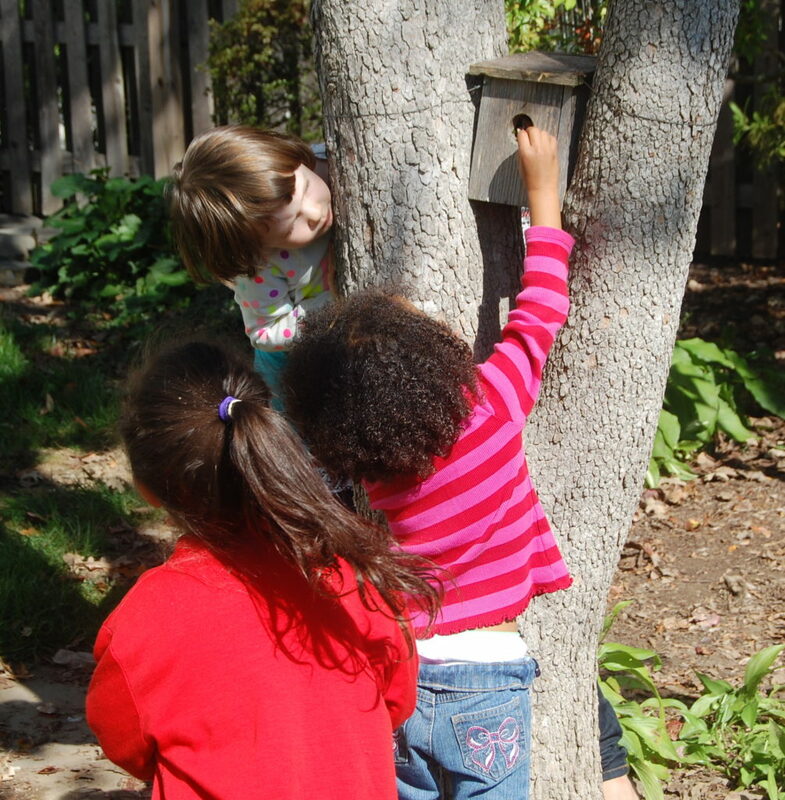 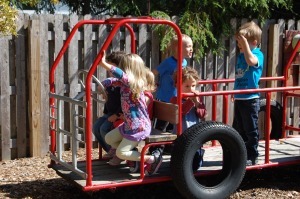 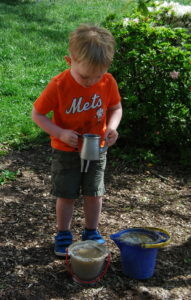 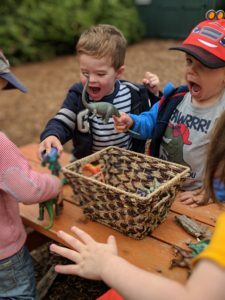 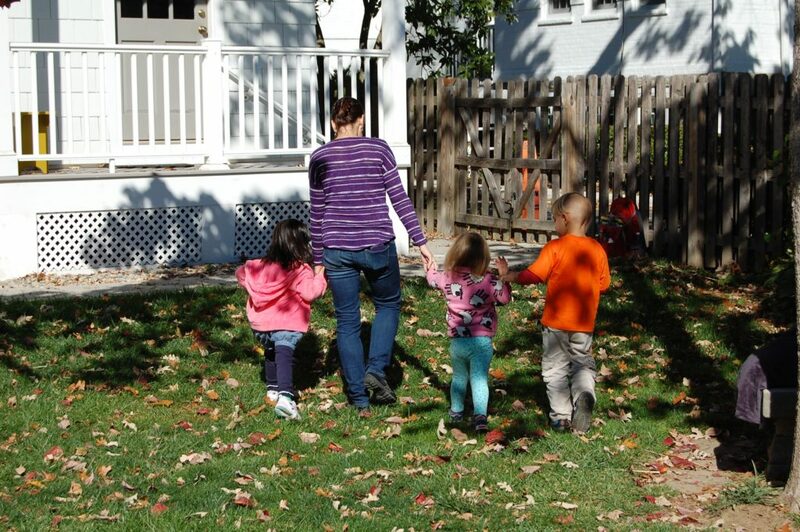 During outside playtime, the children can play in the sandbox or dig in the dirt, play house in the cabin, drive the fire engine, weed, dig or plant in the garden, and of course, create their own running games. 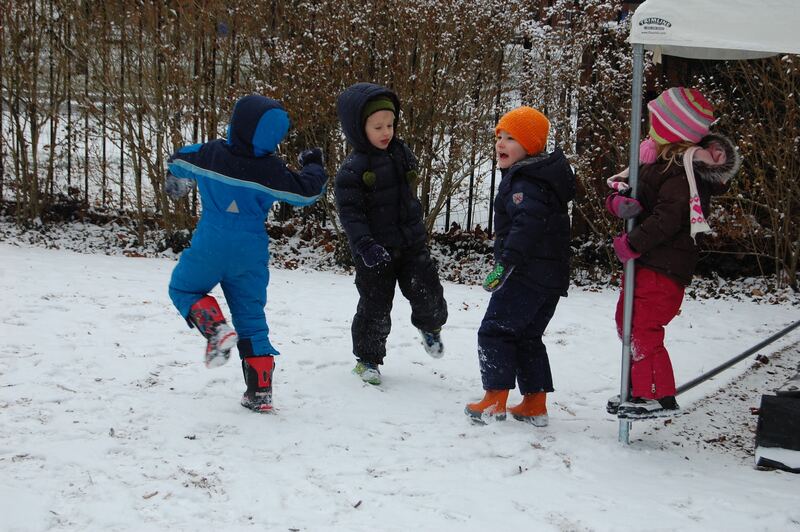 We enjoy the snow, too! Putting on those snowsuits, boots, hats and gloves is a normal part of our wintertime routine.